Julius designed by Finn Næss Schmidt. 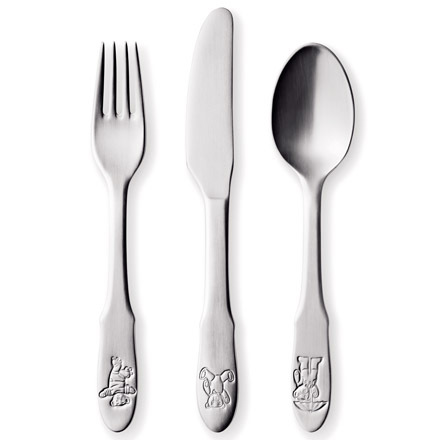 child-sized fork, spoon and knife with teddy bear designs. *also available as 2pc set, fork and spoon.